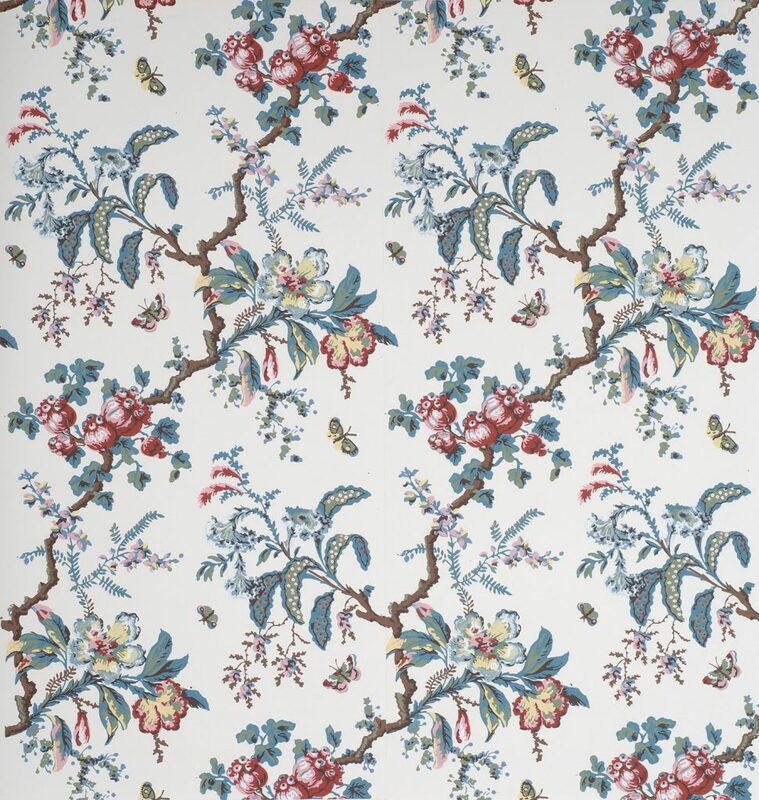 The original antique document for this pattern was purchased by the Colonial Williamsburg Foundation for its collection. Little is known about the origins of this early French pattern, although the use of multiple floral species emanating from a single vine was a popular one. Exceptionally beautiful, it illustrates how closely fabric and wall hangings correlated in the first three quarters of the 18th century. 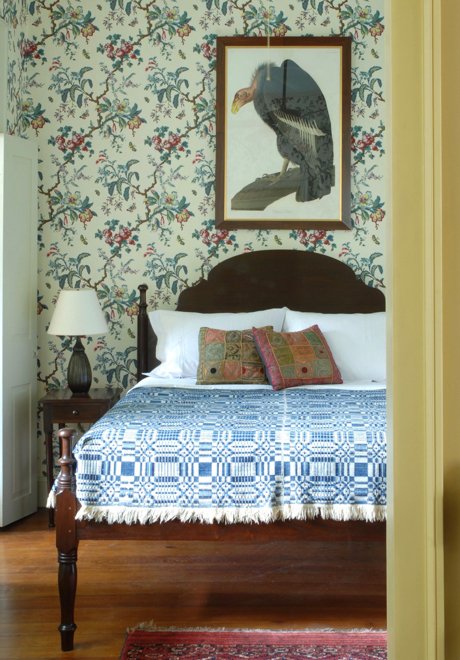 While its large scale can easily compliment any spacious room, the chintz works surprisingly well in more intimate spaces. Imperial Measurements: Repeat 42 inches, width 21 ½ inches, length 11 yards, straight match. Metric Measurements: 106.7cm , 54.6 cm, 10 m.